During the first half of the twentieth century, supporters of the eugenics movement offered an image of a racially transformed America by curtailing the reproduction of “unfit” members of society. Through institutionalization, compulsory sterilization, the restriction of immigration and marriages, and other methods, eugenicists promised to improve the population—a policy agenda that was embraced by many leading intellectuals and public figures. But Catholic activists and thinkers across the United States opposed many of these measures, asserting that “every man, even a lunatic, is an image of God, not a mere animal." In An Image of God, Sharon Leon examines the efforts of American Catholics to thwart eugenic policies, illuminating the ways in which Catholic thought transformed the public conversation about individual rights, the role of the state, and the intersections of race, community, and family. Through an examination of the broader questions raised in this debate, Leon casts new light on major issues that remain central in American political life today: the institution of marriage, the role of government, and the separation of church and state. This is essential reading in the history of religion, science, politics, and human rights. "If there is a story long overdue for telling, surely it is the story of how and why the Catholic Church and its faithful stood against the eugenics movement at a time when just about everyone else had gotten on the pro-eugenics bandwagon. In An Image of God, Sharon M. Leon tells the story and tells it exceptionally well. The book is worth reading not only for what it teaches us about the past, but also for the lessons it imparts at a time when eugenics ideologies are being revived and presented in new rhetorical garb." 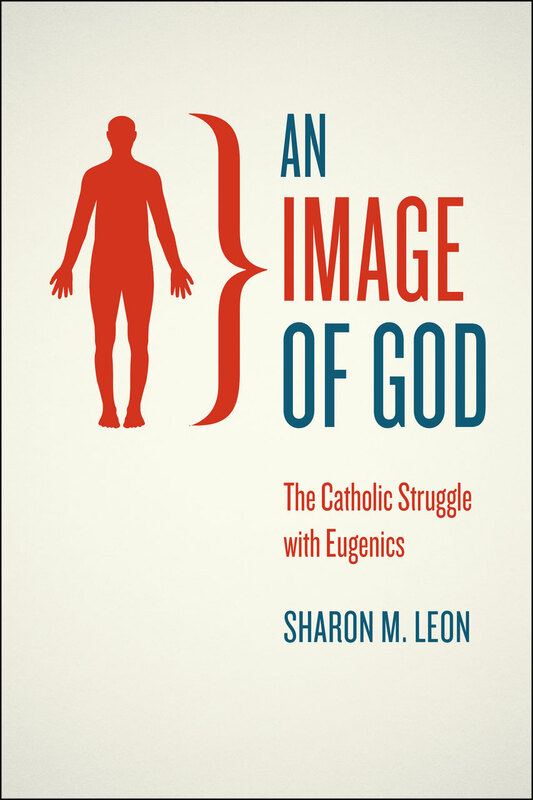 "Sharon M. Leon’s An Image of God deftly explores how modern American Catholic anti-eugenicists survived their own conflicts and stumbles to secure a substantial moral achievement for Catholic social teaching in a nation still often doubtful about Catholicism itself. This book is deeply researched and affectingly written; few books better illustrate the maturation of twentieth-century American Catholicism, especially in science, and the compromised choices that men and women seeking good often faced in their real and deficient world."